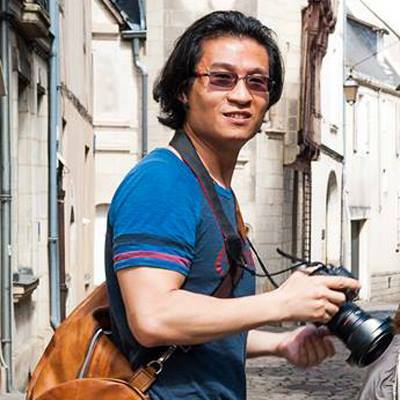 Our thanks to Kah Kit Yoong, our featured guest photographer for March, 2015. We appreciate the time he's taken to share with us some of his wonderful photography and his story! Please visit his links to see more of his work, and to let him know you enjoyed this interview. :: How did you get your start with photography? Sudden and totally unexpected. 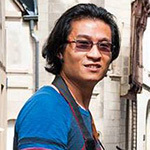 I showed absolutely no interest nor aptitude for photography until my first trip to Europe, back in 2005. My first experience with a real camera was the Nikon D70 which was what my girlfriend at the time had brought for that trip. To this day, I still have no idea how to load film. As soon as I started using that D-SLR on the trip however you could't pry it from my hands and I became obsessed with the pursuit of light. :: You mention in your writing about having a background in music, did this background help or possibly influence the photography? Do you still play instruments? While there are plenty of parallels between the two, I think that my background in music enhances rather than influences my photography. For example I might be out shooting a scene or looking at a photograph and I'll be thinking that a certain piece matches it in mood or atmosphere. Lately I've been putting on some mood music while out in the field to enhance the experience. I still play the piano occasionally but it has taken a backseat to photography and I no longer perform professionally. It really requires the discipline to practice the number of hours a week to maintain which I'm no longer able to do. :: I know you've written recently about having a different way of seeing now, and where in the past you might lean towards making more traditional type images that appeal to large masses, and it seems now you look more to create image that you want to make, or perhaps are looking for something different. Can you talk a little about this process, and how your approach, or maybe expectations for a certain result have changed over time? When I first started out, my goal was to replicate postcard shots and classic views of the locations I visited. I sought to create versions with sweet light and as technically perfect as I could. At the time not everybody was shooting long exposures or the magic hours so my images were different enough to be distinctive. These days, it takes a lot more to create fresh and original imagery that stands out of the crowd. There's a large volume of terrific work on show each day on the various social media platforms, yet only a small number make me sit up and think "Wow, I haven't seen that before!" That's what I strive for. My approach is to consider all the stages in the chain of photo creation. I often think and observe a lot before setting up. The shoot first, think later approach rarely results in original photographs. Often an idea comes to me while quietly watching the scene. Next I think about what kind of lighting or transient element might be needed to put the image 'over the top'. On other occasions, the creative element may occur in post-processing but even in such cases, the visualisation process starts before the shutter is even pressed. The photo "In the Zone" is a good example of something I did different. This was photographed in 2008, a lifetime ago in digital photography terms. It's a scene that has since been shot over and over again and I haven't seen any new versions which offer something fresh. I'm sure there's something cool out there waiting to be created but the problem is that everyone focuses on capturing the streaking bus on London's Westminster Bridge as the end point. The key elements I considered when photographing it was timing the passage of the bus so that it didn't obscure the iconic London Eye in the background and secondly positioning the transition of cool to warm in the sky to enhance the surreal experience. :: What I enjoy about your portfolio and blog is that you don't stick to JUST landscapes, your work is compromised of many travel/documentary type photographs as well. What similarities and differences do the two genres have in terms of how you approach shooting? That's right, I do like to photograph a wide variety of subjects. The process of shooting different genres is the same to me and I don't make a conscious effort to treat each separately. The basics are all the same: good technique, use of light and composition and that's what I concentrate on. Observation is the key to combining all of these in an optimal way. I find that it is considerably more difficult to make travel photographs which resonate strongly with a wide audience than landscapes. Everybody takes a ton of holiday snaps while they're on holidays but few people are waking up in the early hours of the morning to shoot the sweet light of sunrise necessary for natural landscapes. There are so many things that can get in the way of a good travel photo such as unsightly man-made objects, hordes of tourists and other distractions. Everything seems to unfold in a fairly predictable way when shooting landscapes but in travel photography, you operate in the moment. :: You've done quite a lot of traveling over the past couple years, which location whether urban or nature related has been the most challenging for you, and what about it made it so difficult? 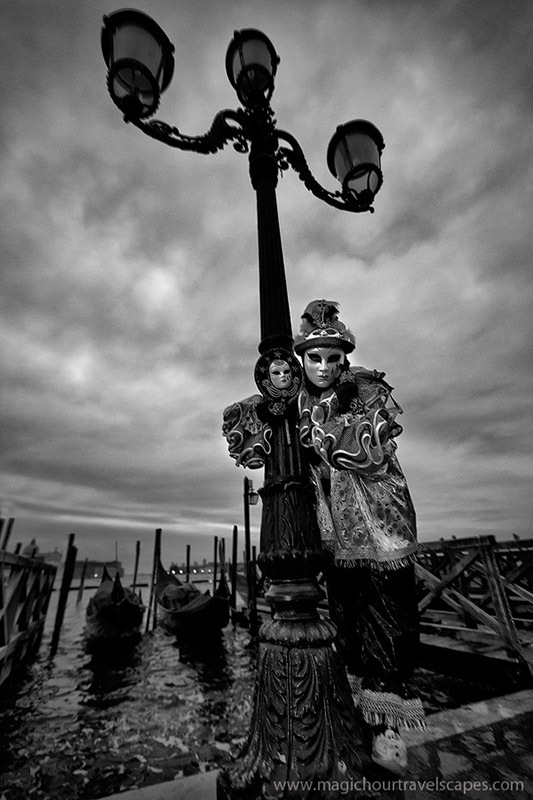 Without a doubt shooting Carnevale in Venice is the most challenging assignment for me and perhaps that's why I am drawn to it every year. I'll elaborate more on this in your question about this event. Photographing Paris is no longer difficult for me but it took some years and several trips before I started making images that I was happy with. It was easy to become very focused on the many iconic sights early on but with time I came to realize that the daily street theatre of the locals going about their day was what made Paris Paris. 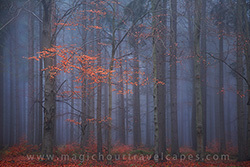 In landscape photography, I think forest scenes are by far the most difficult to shoot. 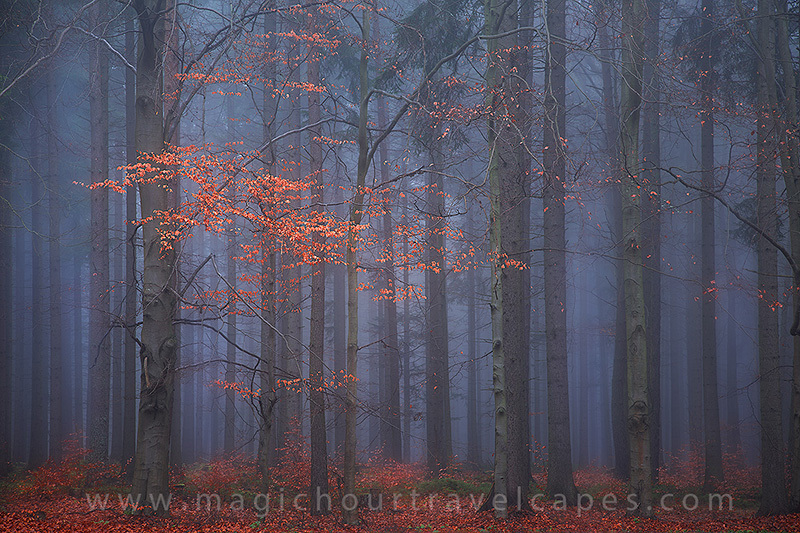 There are so many memorable coastal and mountain photos out there but comparably few forest images. I finally managed to add a few to my portfolio this year while in the Czech Republic. :: What is your favorite piece of non-photographic gear? What makes it so. Right now it would be my Astell & Kern AK240, a state of the art digital audio player which allows me to walk around anywhere on my travels with a sound system that rivals top-end hifi systems. All in a device which fits into a small pocket. :: During your travels, what has been the scariest thing that has happened to you while out shooting? Thankfully there have not been too many harrowing experiences. Helping a girl who couldn't swim through two river crossings when we were caught in an unexpected flood in the Scottish highlands was memorable. More recently, there was a worst case scenario of having our car submerged at high tide on a remote beach in the deep south of New Zealand and then fearing that we might get killed Wolf Creek style. The whole story was recounted on my blog, Magic Hour Unplugged. 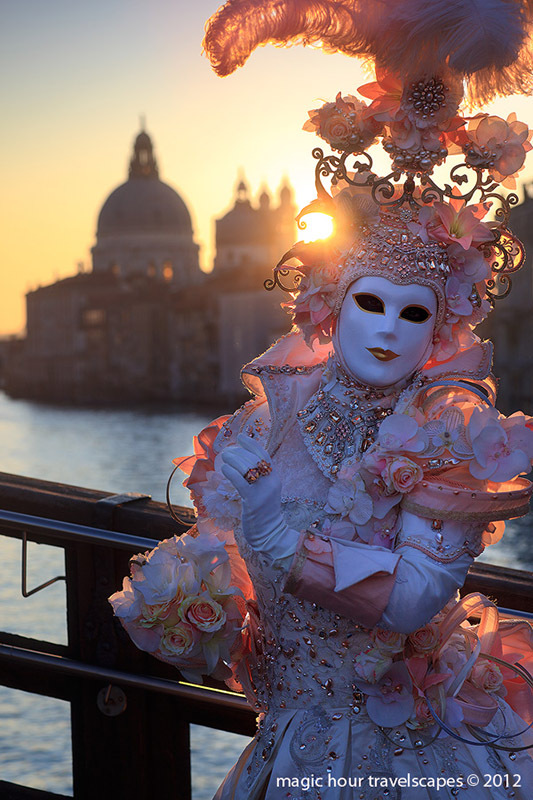 :: I've really enjoyed your shots of Carnevale in Venice, can you talk a little about that crazy process in terms of photographing during that event. Also how is teaching during that event made difficult by the conditions and buzz that surrounds it? I think that I'm probably one of the least gear-oriented photographers around but this is the one event where I bring EVERYTHING. I always shoot with two D-SLR bodies, one with a zoom mounted, the other with a fast prime portrait lens. 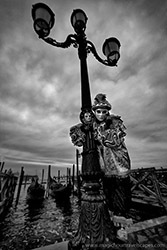 Mornings are crazy, the sunrise shoot is always at the Piazza San Marco where all the keen masks congregate. The masks are at the event to be photographed; they are not paid. And there are tons of photographers around. There are big scrums of people shooting around each model and the whole experience can be rather trying especially for those not used to it. However it is worth noting that each year I attended, my very best photograph as been shot under such circumstances. The technical challenges are great, especially at the San Marco shoots. In addition to dealing with the crowds of photographers around you in a polite way while getting your shots, you are often working in low light, high dynamic range sunrise conditions and shooting wide open with fast lenses (consequently wafer thin depths of field and difficulty focusing on moving targets). Success with my images from the first couple of Carnevales I attended has put me into a position where I am busy with private shoots every day. These are a much more interesting affair for me where away from the madness of San Marco, I am able to take my time, come up with a concept and set the scene up properly. I only take on private workshops at Carnevale and this is where participants are able to get time under more sedate conditions to photograph the very best costumes on show each year. :: How much does processing play into your vision of a finished piece while you are in the field? You mention in a piece on your blog knowing the difference between 'image optimization and over processed' How do you toe that line, and why do you think so many people tend to cross it? In most cases, by the time I am pressing the shutter release, I already have a pretty clear idea how the finished product is going to look. I guess this is because most of the time I am very deliberate about what I'm shooting. When viewing the scene first hand, close attention is being paid to the color palette and casts, the way light falls and the relative levels of exposure needed (e.g. shadow detail) for each part of the frame. Each of these are considered in terms of how they will eventually be processed. The whole spectrum from pre-visualization to post-capture finishing is something I view as a continuous single process. We are well into a period where landscape photography is crossing into the realms of digital art. Increasingly we are seeing photographers approach the RAW file as a canvas where the subject exists as an outline onto which color and light is painted on. While it's not exactly the same topic, this trend makes the judgement of what is optimized or over-processed more difficult to assess. I enjoy landscapes which are more digital art as well as the more documentary style photos, although my approach falls more into the latter category. Perhaps this ties in to my background as a travel photographer. My images serve as my memoirs. I want them to be a reasonable account of what I experienced in reality. Some creative license is afforded in terms of optimizing color and contrast but I'm not going to turn a blue sky into a blazing sunset. I've seen enough sunrises and sunsets to know what looks natural and what doesn't. Perhaps some don't know where that line exists simple because they haven't clocked up enough time in the field. On the other hand when I notice weird colors popping in some photographers' work, they tend to recur throughout their portfolio. This is where peer review and feedback can be important. :: What advice or learning process resonated with you the most during your learning process? I was completely self-taught over the first two years. I photographed a lot, to the point that the camera seemed to become an extension of my hand. I was like a sponge and developed my own methods of approaching exposure, using filters and workflow. As I became more advanced I started to seek out photographers who I admired most in their fields to refine my work and open my mind to other approaches. I took workshops with Marsel van Oosten for wildlife, Darwin Wiggett and Charlie Waite for landscapes and most recently Marc Adamus for mountain photography. I see many photographers whose portfolios improve in volume but remain static in terms of creativity and substance because it is easy to churn out material with the same formula. I don't want to fall into the same trap. I just finished putting together my best of 2014 images and was surprised that not a single seascape made the final twelve, given that I specialize somewhat in coastal landscapes. :: What advice would you pass on to a newer photographer trying to get their start in landscape and travel photography? Get out and put as much time in the field shooting as possible and become so familiar with your camera controls that making exposure becomes second nature. That way the mind is free to concentrate on composition and the creative side of photography. Don't be too focused on gear since it probably contributes something like 1% to the final image. :: What locations or spots are still on your bucket list? I get to tick off the #1 spot on my bucket list early in 2015 when I co-lead a grand tour of the Lofoten Islands with Lofoten Tours. Hopefully I will get to see my first Northern Lights too. I have an aversion to the tropics and warm places so it's no surprise that I would love to visit Antarctica. :: With so many people getting into photography now what distresses you about the future of photography? What keeps you hopeful? For me, the most negative aspect of the way photography is headed is the single-minded pursuit of exposure as an end-point rather than true appreciation of the art form. It is sad to see people (some photographers not without talent themselves) stealing photographs and passing them off as their own. Or people presenting images in a way that they believe will lead to popularity on social media rather than according to their artistic sensibilities. There seems to me a new photo sharing platform popping up every month. I wonder if things will turn full circle and personal websites and blogs become the hub of image appreciation again? On the other hand we get exposed to a huge variety of images on social media; some of it is very inspiring and provides me with the incentive to work harder and go the extra mile. :: You've been a recipient of a great many awards throughout your career, what advice do you have for those entering competitions and those who might not see the value in entering? When I started entering competitions, there were only a few well known ones such as Nature's Best and Veolia/BBC. Nowadays photo contests are a dime-a-dozen and one has to be more selective in only being involved with those worth the time and effort. Reading the fine print in the rules and guidelines is important to avoid some of the more dubious competitions. I usually look at the judging panel to see if there's anybody whose opinion I would particularly value on my photos. I've had a very high success rate in contests (around 80% of those entered) and I believe that the key has been good image selection. I'll bet that there are some excellent photographers out there who would have performed a lot better had their selections been more appropriate. Major competitions often have tens of thousands of entries and if the images you present are not striking enough to immediately grab the judging panel's attention, they will be quickly culled. I think that there certainly is value in entering competitions. As mentioned, I really welcome the opportunity to put my images in front of photographers whose work I love. Getting good feedback from them helped me to realize that I was on the right track with my photography. My favorite part of photo contests are the invitations to the awards exhibitions. Meeting other photographers and listening to them talk about their work has always prompted me to re-evaluate my creative processes and inspired me to improve my craft in new ways. :: Now that you have been photographing for a good many years, what parts of this career feel like work? And how do you avoid making what is an immensely rewarding (sometimes frustrating) career path steer away from ever feeling like drudgery? I think it is very easy to settle into a routine of running workshops and going through the same motions each year. One's own photography will eventually stagnate and suffer with creative juices running dry. I'm fortunate in being comfortable with teaching a variety of genres of photography to keep mixing things up. It is very satisfying to discover new places not known for their photographic possibilities. When people ask me where my latest project may take place, I answer "wherever nobody is interested in going." Personal projects are the life blood of a photographer. "It is very satisfying to discover new places not known for their photographic possibilities. When people ask me where my latest project may take place, I answer 'wherever nobody is interested in going'."